The Export Promotion Council for Handicrafts has been established under the EXIM policy of Government of India in 1986 and is a non-profit organization set up for the promotion of handicrafts from Government of India in 1986 and is a non-profit organization set up for the promotion of handicrafts from country and project India’s image abroad as a reliable supplier of high quality handicraft goods and services. Rakesh Kumar, Executive Director, The Export Promotion Council for Handicrafts (EPCH) & Managing Director, India Exposition Mart Limited, is responsible taking handicraft exports from India’s small and medium sectors to new heights. He is also on the board of National Centre for Trade Information (NCTI) as a Director. A Post Graduate in Public Administration and International Foreign Trade he has a lot of experience working with SMEs especially export potential enterprises for more than 20 years. He has represented and led Indian delegations in a number of important International Fairs, Trade Committees and Boards abroad. 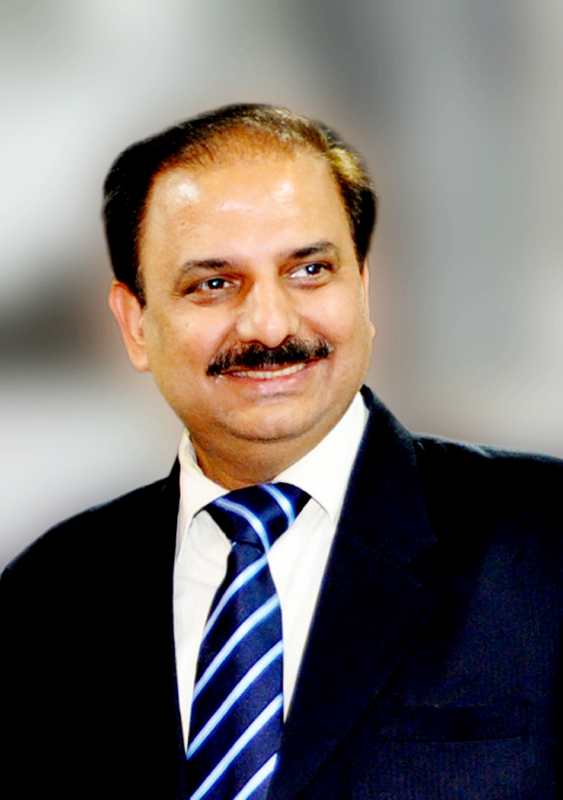 He is the key architect of several important projects in India such as setting up of the National Centre for Design & Product Development (NCDPD) in New Delhi and Moradabad (one of the largest forex earner Craft Pocket of India) and served as Founder Secretary of National level Design Center where Foreign and Indian Designers are working. He is also a pioneer in development of North Eastern Handicrafts for exports. In an exclusive conversation, Rakesh Kumar tells us more about what EPCH is doing to promote handlooms and handicrafts. The Export Promotion Council for Handicrafts is an apex body of Handicrafts Exporters for promotion of exports of Handicrafts from the country and project India’s image abroad as a reliable supplier of high quality handicrafts goods and services. It was set up in 1986 with 35 members on its list and today it has 10,001 members. The Council has created necessary infrastructure in various craft clusters of Handicrafts during 30 years of existence and as a result of the export of handicrafts which was Rs. 387 crore in the year 1986-87 has reached to level of Rs. 21,458 crore in 2015-16. The council has provided marketing linkages to the artisans and craft persons who are the backbone of the handicrafts sector by inviting them to display at world’s largest fair called IHGF-Delhi Fair Autumn and Spring organised twice a year in which more than 5000 overseas buyers and their representatives come to source Indian handcrafted products across the globe. What is being done to promote traditional handlooms and handicrafts of India? The arts and crafts of India are known from the ancient time for intricate workmanship, exquisite nature and exclusive designs. Each state of India and within various states of India exclusive regions have distinct nature of arts and crafts produced at the village level for many centuries. Handicrafts production plays a very important social and economic role of providing employment on full time or part time basis at the village, Kasba and town levels to women and persons of economically weaker sections of society. EPCH has been performing multifarious activities to ensure the overall growth of handicrafts. For promotion of traditional handicrafts, EPCH has created infrastructural facilities for handicrafts producers and exporters at the cluster level in different parts of the country in order to provide the marketing platform, intelligence and technical know-how with respect to new designs and production techniques. The following infrastructural facilities have been set up at different craft clusters. India Expo Centre and Mart, Greater Noida. Common facility centres at Jodhpur. National Centre for Photo and Picture Framing Technology at Saharanpur also include technology upgradation centre and wood seasoning plant. International Lace Trade Centre at Narsapur. EPCH also organises world largest fair called IHGF-Delhi fair twice in a year in Autumn and Spring in which more than 3000 member exporters including cluster based artisans and craft spersons display their skills to the overseas buying community so that direct communication between buyers and sellers can be created. During these two editions of the fair, more than 5000 buyers with their representatives come to source their requirement of handcrafted products. Special emphasis are being made to bring the products of North Eastern states, mega cluster of Jodhpur, Narsapur and J & K so that International buying community can see the inherent products of interior parts of the Country. How is the market for hand printed Textiles & Scarves, Embroidered & Crocheted goods doing? What challenges are these textiles facing from machine made textiles? One of the major challenges is non availability of skilled crafts persons. The voluminous export orders need to be fulfilled in a proper standard and uniformity of work. The craft persons in different craft pockets adopt different method and therefore export market faces challenges of quality uniformity. Development of skill is a very important aspect for achieving high quality production of handicrafts with maximum efficiency. In India, our craft persons and artisans are still used to old age techniques for producing craft. To bridge, bridge the skill gap that is affecting the handicrafts and carpet sector, Export Promotion Council for Handicrafts has set up Handicrafts & Carpet Sector Skill Council (HCSSC). HCSSC has imparted training to more 5000 artisans working in Narsapur, Andhra Pradesh in recently set up International Lace Trade Centre at Narsapur Comprehensive Handicrafts Cluster Development Scheme (CHCDS) of Ministry of Textiles. Narsapur is an important location from the point of concentration of artisans, craft persons, producers and exporting community of lace products. It is estimated that more than one lakh women are involved in making of lace products as part time in their households. Many more lakhs are involved in lace making in this region on full-time basis. More than 80% of the exports of lace products originate from the East and West Godavari region, even though many other States are also involved in making lace products. The quality, workmanship and finish of lace products in Narsapur area is well known in entire India and also in major world markets of US, Europe and Japan. How is the response to exhibitions being conducted and what are you doing differently to promote homegrown fabrics? The homegrown fabrics have seen significant demand in the exhibitions. To promote not only home grown fabrics but all handcrafted products, Council have already taken the initiative to tap domestic market by way of inviting e-commerce companies to participate in domestic shows of the Council such as world largest fair IHGF-Delhi Fair held twice in a year, Home Expo India and Indian Fashion Jewellery & Accessories show. Gradually and slowly, handicrafts exporters are getting attracted to domestic market which has very large small scope in India.